There’s no question that most of us would prefer to live in a friendly, peaceful neighbourhood where everybody gets along with each other and goes out of their way to one another. While this might be a bit of an idealist hope rather than expectation, it doesn’t take too much effort on your part to ensure that your experience of living within your own neighbourhood is more pleasurable than miserable. Most of us are already carrying out some of the tips below and often without even knowing it. It’s always a good idea to introduce yourself to some of your closest neighbours as soon as you move into a new area. Not only will they be able to give you useful advice and information about the area, you’ll also be able to gain a sense of what kind of issues are particularly important to the local residents. Similarly, when a new neighbour moves into the area, try to Make Them Feel Welcome. 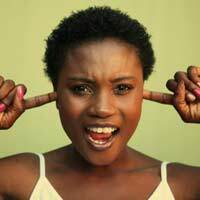 Excessive noise of all types is always one of the biggest sources of complaints and grumbling about a particular neighbour. Therefore be sensitive to the noise you generate within your own household and respectful of neighbours nearby. Things like Barking Dogs, loud music and TV systems, parties, DIY projects and the like all need to be considered. Try to keep home entertainment systems away from partitioned walls and bear in mind your noise levels at certain times of the day and, of course, at night, when people are more sensitive about excessive noise levels. Disputes Over Parking are commonplace. To prevent this, be mindful that parking facilities might not always work out as smoothly as you’d like them to. If, for example, you only have access to on-street parking, make sure you park sensibly and don’t expect that you’ll be able to park right outside your own house all of the time. If the houses do have driveways, make sure you show courtesy and don’t block people’s access to their driveway by parking any extra vehicles you may own right outside their house. We don’t all have the same kind of spending power even if we live on the same street, so while you might not have the latest conservatory, brand new car or can afford the latest brick paving for your drive, try to keep your property looking tidy and that you don’t leave rubbish and other items such as kids toys and any rubbish strewn around. What some people fail to remember is that residents just don’t take pride in the appearance of their own home but in their neighbourhood, too. It’s your local community so it’s a chance to get out and about and mingle. Take advantage of stopping to speak to a neighbour, even if it’s only to say ‘Hello’ as you are on your way to work of a morning or if you’re simply passing them on the street as you go to the shops. Maybe even consider getting involved with some local community project or accept the odd invite to a neighbour’s party. Better still, throw the odd social gathering of your own and invite the neighbours. Everybody needs a little help now and again. It may be a car engine which has stalled and the owner needs a little push to get it started, or you’re asked to take in a parcel on behalf of a neighbour who’s out at work. It could be any kind of small favour actually. However, the more you give out, the more you’ll get back. If people find you friendly, helpful, considerate and approachable, you’re far more likely to receive a similar response from them. Don't forget the old adage "the more you look out for people, the more they'll look out for you." The neighbourhood ‘grapevine’ can often spread ‘news’ almost as fast as the speed of sound. Try to avoid getting involved in any idle gossip. Not only might ‘facts’ turn out not to be true, even if they are, they’re quite likely to have become distorted over the course of the ‘Chinese whispers’ grapevine by the time they reach you. By not getting involved in this kind of ‘tittle-tattle’, it prevents your name from being bandied around as a gossip monger and giving you an unwanted reputation. These are just some useful general tips but you’ll no doubt have plenty of ideas yourself about how you can become a good neighbour and make a valid contribution to your community. In this way, your experience of the neighbourhood in which you live is bound to be happier, more fulfilled and more peaceful. Hi i have a problem with a neighbour.The issue is that she has been telling us that the space in front of both of our gardens (joint) is hers because she is a police officer and works 14hour shifts and deserves this space.This would not be so bsd if she didn't have a double parking space and we have a single, she can't park there though because of working shifts and would have to swap cars around.It was agreed that we would leave one of 3 spaces with her partner but she demanded we moved the car calling us passive aggressive for parking there. Whilst this was happening she was parking her car till it was nearly touching our car and pulling her bin up to touch or car,my husband told her not to do this.Since then she has been putting cat poo on my front door step,knocked on door and they wouldn't answer,letter left for them to stop and that we would provide cat deterrent if needed,letter received saying she would not talk to us due to last conversation with partner,she has also moved cars around at 4am so there is always a car on the front and none on the drive and now they will only mow their side of the joint garden which we always mow anyway.She has also put a cat sensor up. This had led to my partner feeling low and is both getting anxious as they blank us so we can't speak to them. Thankfully we haven't retalliated as much as we want to but we are putting wheels in motion to move for our own health and children have witnessed this, just needing help as feeling bullied and intimidated as she is a police woman.Please any advice.